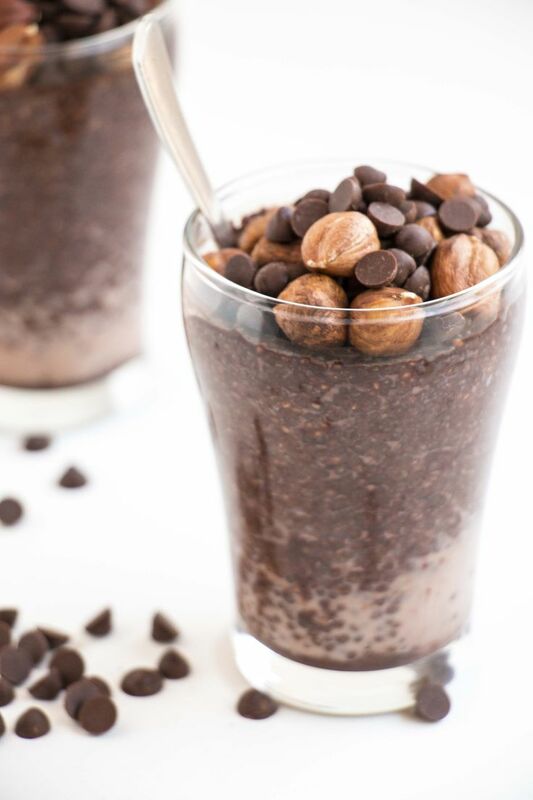 After all of these smoothies lately, and the fact that there is snow on the ground, I think I’ll be bringing you some warming comforting deliciousness next week! Until then, enjoy your weekend and have a browse through this week’s Friday Finisher! To put your time on Earth in perspective. + Is The Drive For Success Making Our Children Sick? I think there’s a lot of truth here. Hehe, I just loved #1! A strong core is the key to it all! Sadly, I feel this is very true. Yay, Banza and Love Grown! I haven’t made my own in a while. And I thought steel wool was bad for it….? Fantastically written and well said! + Do I need Protein Powder To Build Muscle? No! Of course not, but it tastes pretty damn delish! + Is Intermittent Fasting Healthy? You can’t choose it for others, and others can’t choose it for you. + Monsanto’s Roundup Responsible For Celiac Disease? I’m pretty sure all the GMOs and pesticides are causing the increases in allergies, autoimmune disorders, and intolerences. + Could Your Kid Have Celiac Disease? Know the tricky signs. What’s not normal. I wish there was an easier way to be specifically diagnosed. Give me an N, give me an O! Don’t think your blogging doesn’t have an impact to someone! Another great round-up of some helpful sites! During my FB ban, I’ve learned a lot about what I think of all things blog. + Who Controls Your Facebook Feed? I think this post has a wonderful helpful breakdown! These are not your run-of-the-mill typical tips! Exactly. Maybe if you’re single, but not with a family. So happy to have Tara sharing all this! Hahaha! This has been my entire life! 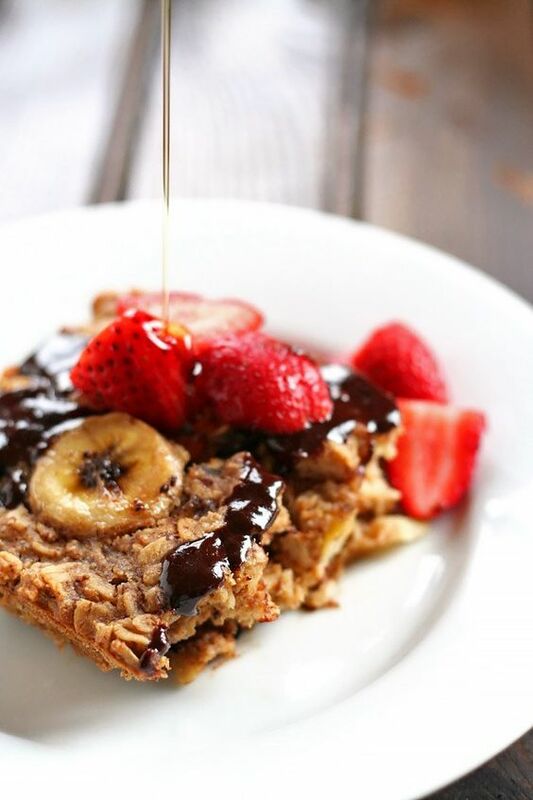 Healthy Chocolate Peanut Butter Banana Baked Oatmeal. Don’t even pretend to not be drooling! 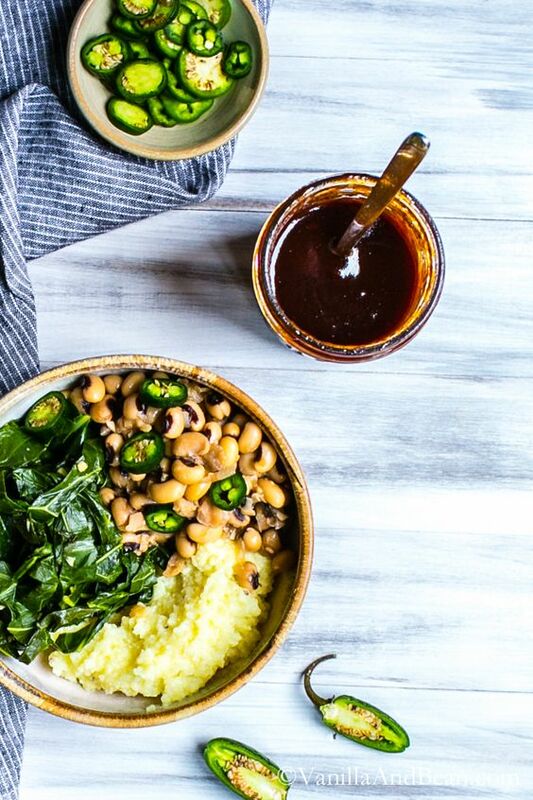 Black Eyed Peas with Smoky Collards and Cheesy Grits. Vegan Southern comfort! 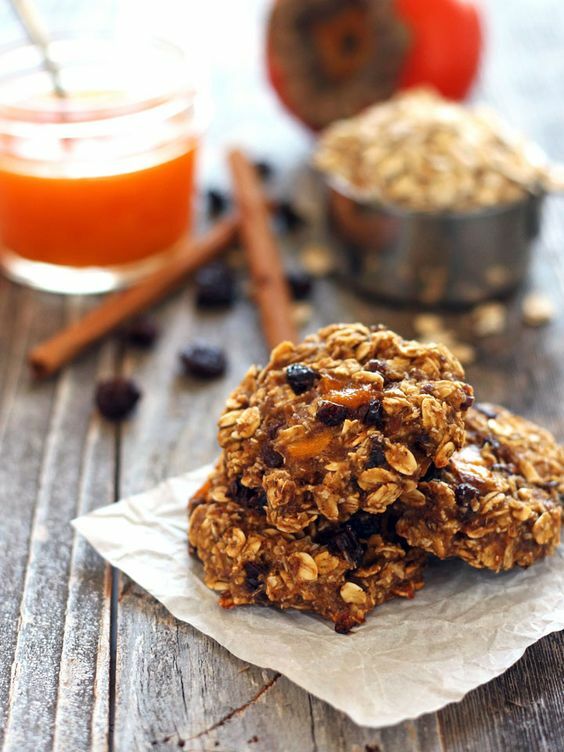 Persimmon Banana Breakfast Cookies. Make good use of prime persimmon season! 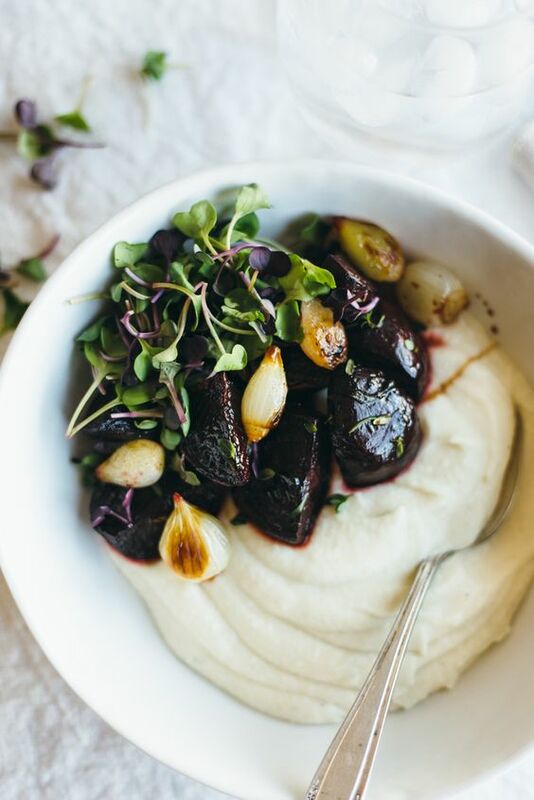 Celery Root Puree with Balsamic Roasted Beets and Pearl Onions. Celeriac and beets? O heaven! Pulled BBQ Carrots. 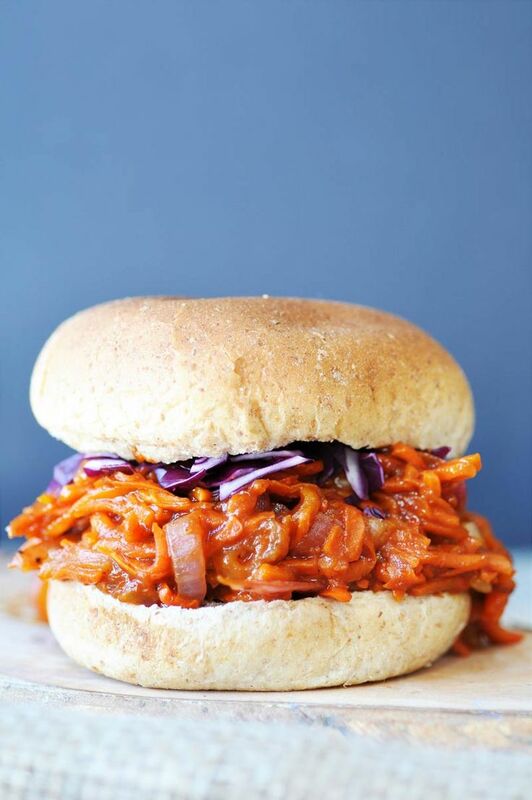 Move over jackfruit, there’s a new vegan bbq in town! 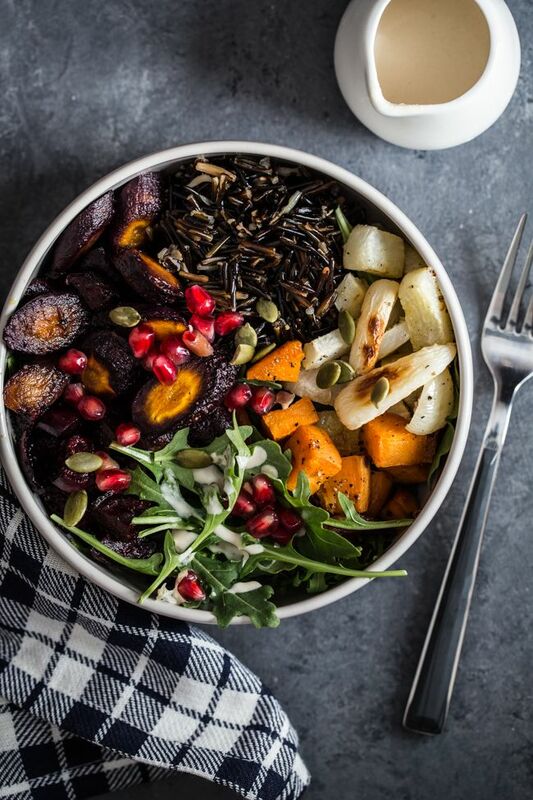 Wild Rice & Root Vegetable Bowls. A winter bowl of perfection! 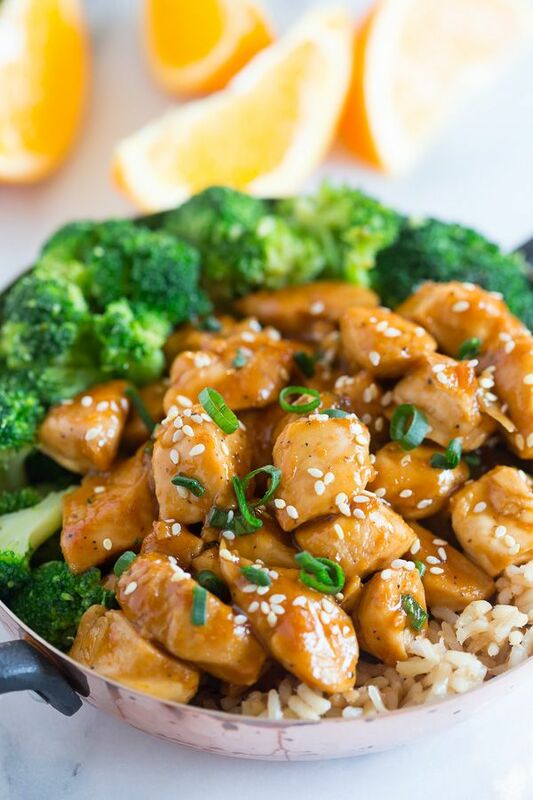 20 Minute Healthier Orange Chicken. I have always loved orange chicken! 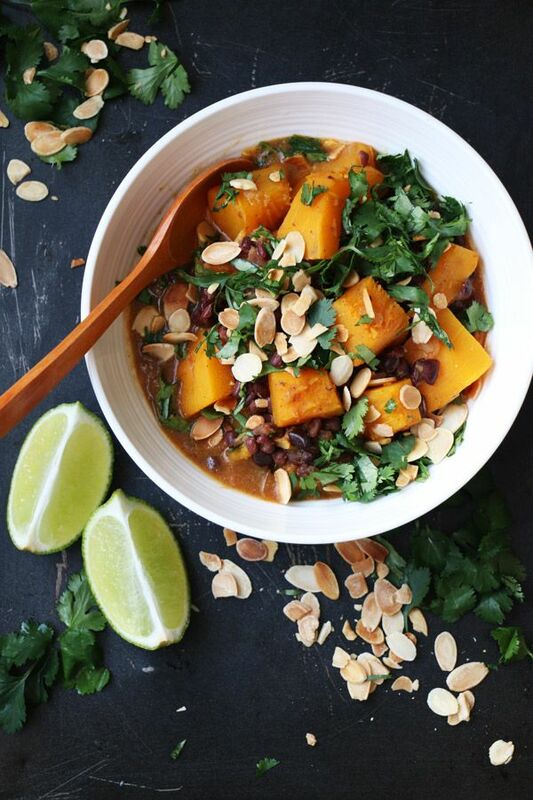 Pumpkin and Adzuki Bean Masala Curry. One of my favorites beans in one of my favorite dishes! + Facebook freedom! Actually, no, I’m still scared to death to even be on there. + Relaxing things like reading and deep sleep! I’m been knocking back some quality hours recently! + Is there snow on the ground in your neck of the woods? + Any winter recipe requests to fulfill you needs? Awesome round-up with great ideas! I am off to look at all these different recipes! Especially that baked oatmeal, mmmmmmmmm! Ah, so many great links to check out! 😀 (Will I ever catch up? Nobody knows…) I think I just attempted to open way too many tabs and the coffee shop internet is protesting. :[ One at a time it is! I have to try that baked oatmeal recipe. The banana on top looks amazing. Baked oatmeal is always fantastic! Great post, Rebecca! Love the tips and especially love that bowl of wild rice and root veggies. I’ve bookmarked this so I can come back over the weekend to read more. It’s packed full of fun! Per usual, I have added about 100 new tabs to read. You find the best things on the internet. Thank you for sharing. Thanks so much for featuring my baked oatmeal, Rebecca! I read a few of these articles and they’re SO interesting! Ugh… and FB is the worst. My personal stream is ridiculous.. I wouldn’t be using it anymore if it wasn’t for the blog. Same!!! I wouldn’t be using ANY social media if I wasn’t a blogger! That’s my goal 😉 Share and learn! Thank you so much, I needed the cookie sheet tutorial, mine are so gross right now! I hope MySpace makes a comeback, Facebook has gotten ridiculous with how much they (don’t) allow blog followers to see new posts. Annoying!! Have a great weekend girl! I never even had a MySpace…but I don’t about that one, however right now I am no longer a Facebook fan! ARG! Have a fab weekend too Lauren! OMG!!!! I hope that teddie wasn’t our Peef teddie! Hahahahhahaha! I need to go see this now!!! I could spend hours on all of these links. Must try the cookie sheet thing. And OMG North and South Dakota… and my home state, GA. Oy. LOL! Happy Friday! I need to do the cookie thing too! Except the dirty ones look nice in food photography 😉 Hahaha! Hahahahaha! You’re from South Dakota!? Yes, there is snow on the ground in Chicagoland. GO AWAY SNOW! I hate being cold. Hitting you with all the feelings! There are now only patches of snow left..but…it’s freezing! That pudding and baked oatmeal looks SO yummy! :)) <3 THank you for all the links. No snow here but lots of cold rain! Perfect movie-watching weather. Eeek! Yes! Cozy up on the coach weather for sure!!! At least the sun is shining, which is all I need! What happened with Facebook? I can’t keep up with it in any case, along with all social media lately it seems! Yoga article is intense, reading it now! I’m “free” right now…but I feel like I’m more on probation…still to nervous to do much. see I’m totally out of the Facebook loop! Can’t keep up 🙁 Glad you’ve been freed! Well, I have a lot more reading to do once I get back from vacation!